Yesterday on Her Dog Blog’s Facebook page I mentioned that I’d be reviewing a new product today, so here it is! My local pet store has a great return policy, so that made buying this that much easier. 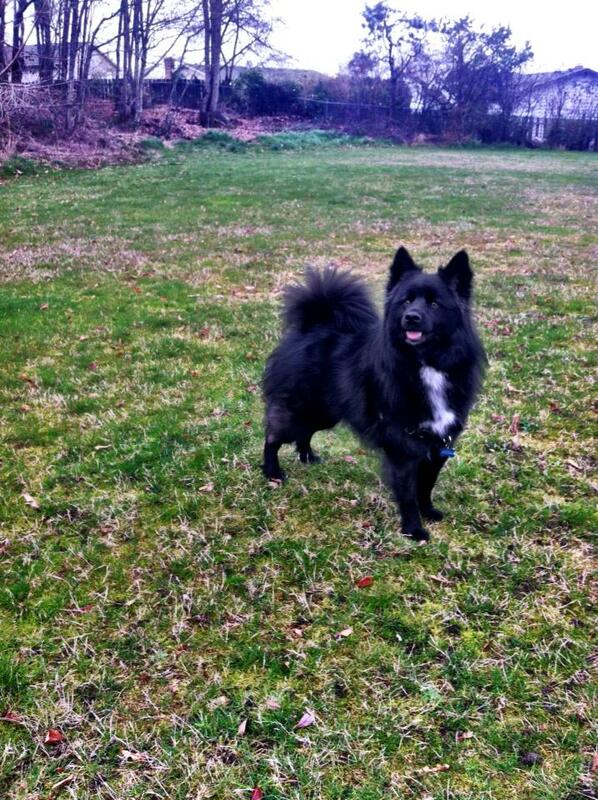 If you don’t like the way something works or if it doesn’t work for your dog, you simply return it for a full refund. 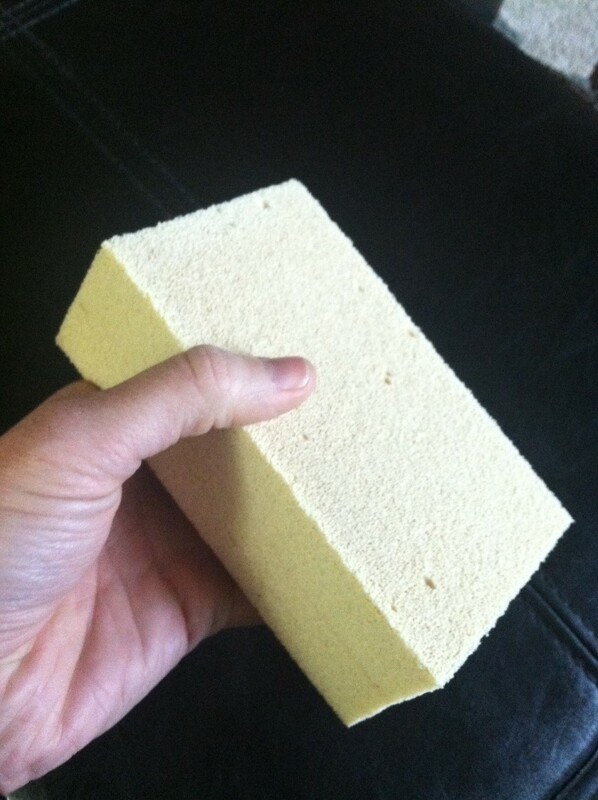 The Pet Sponge (I can’t find their official website, but Google them if you’re interested) is literally a sponge. It’s pretty thick and (in my opinion) the perfect size for an adult-sized hand. 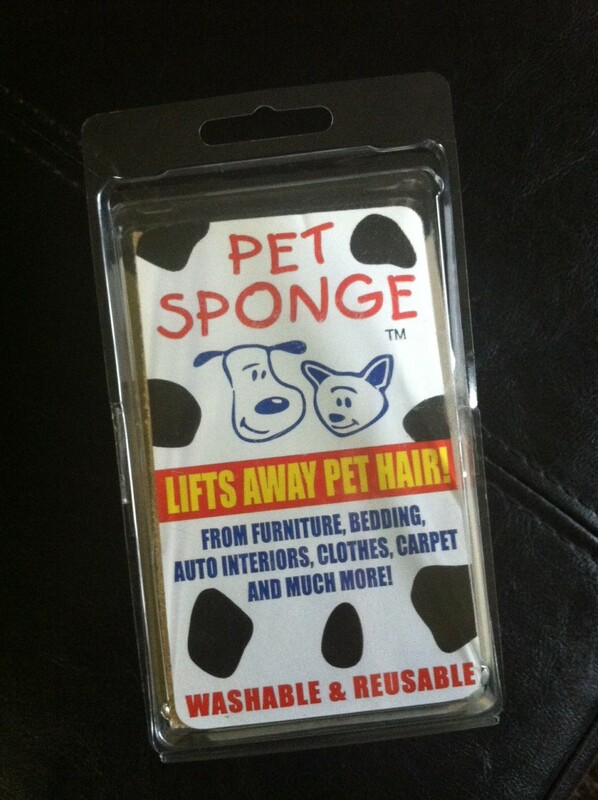 To use the Pet Sponge, simply wipe whatever surface you want to remove hair from in a sweeping motion. 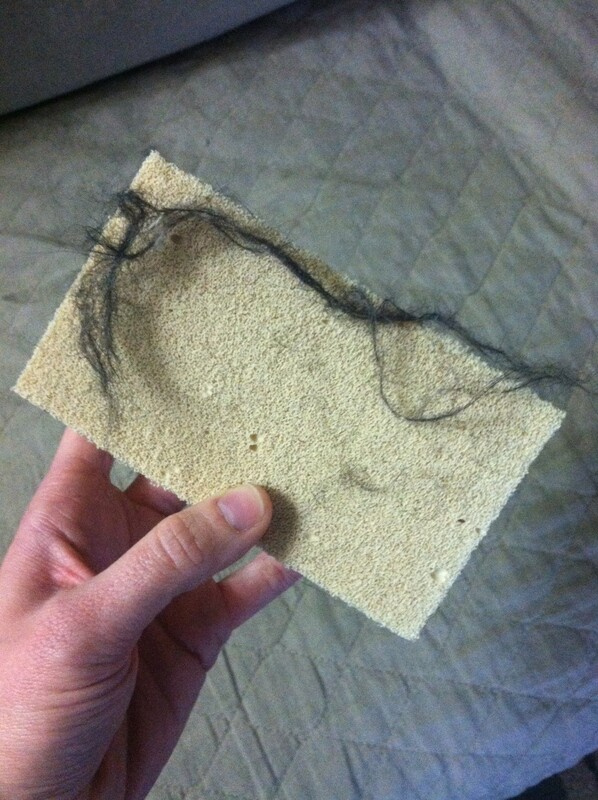 Hair will ball up in chunks and you can pick them off and dispose of them either as you clean or after you’re done. Yesterday I cleaned Teton’s couch cover. I took a photo of the cover, covered in hair, but it doesn’t do the sheer amount of hair justice. So, take my word for it. 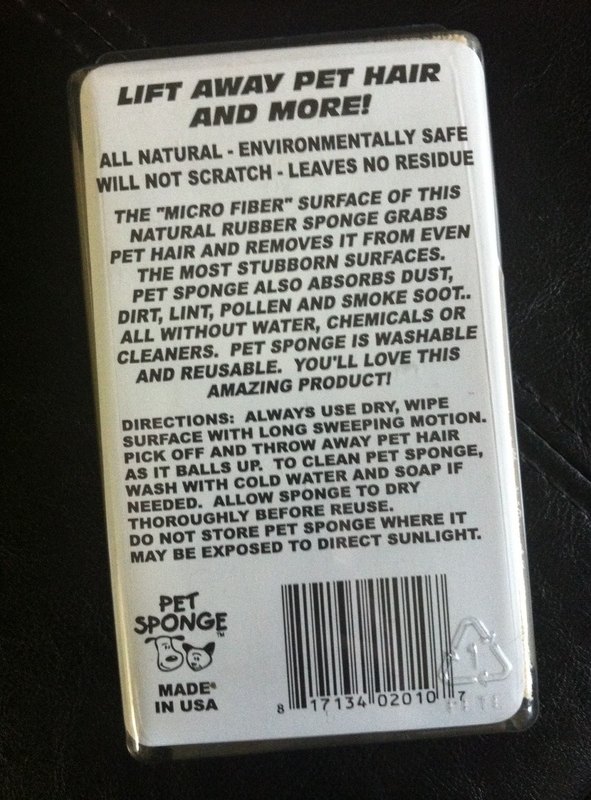 I’m super impressed with the Pet Sponge. It’s cheap, it’s easy to use, and it really works. I’m one of those people who have a million lint rollers in their house (and one in the car, at the office, etc.) to remove dog hair. That’s not only horrible for the environment but it’s an expensive habit, as well. Posted on March 13, 2013 March 13, 2013 by Shannon	This entry was posted in This 'N' That, Web. Bookmark the permalink.